The fragrance of this one was a bit more subtle than other bath bombs I've used (hints of something fruity and floral), but I liked it. It was a generous size, and left the water a rosy pink. 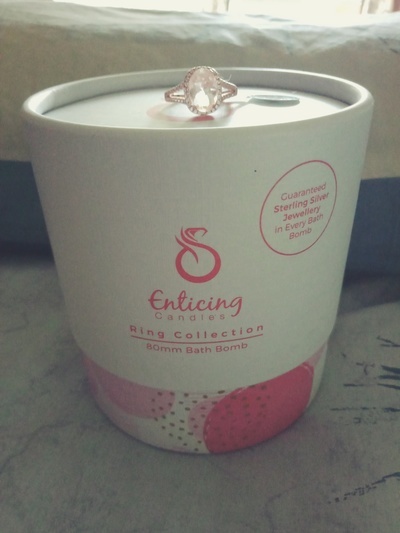 It also contained a jewellery surprise- a rose gold plated ring, with what looks like a topaz stone. A bit costly for every day, but it would make a nice gift for someone special.